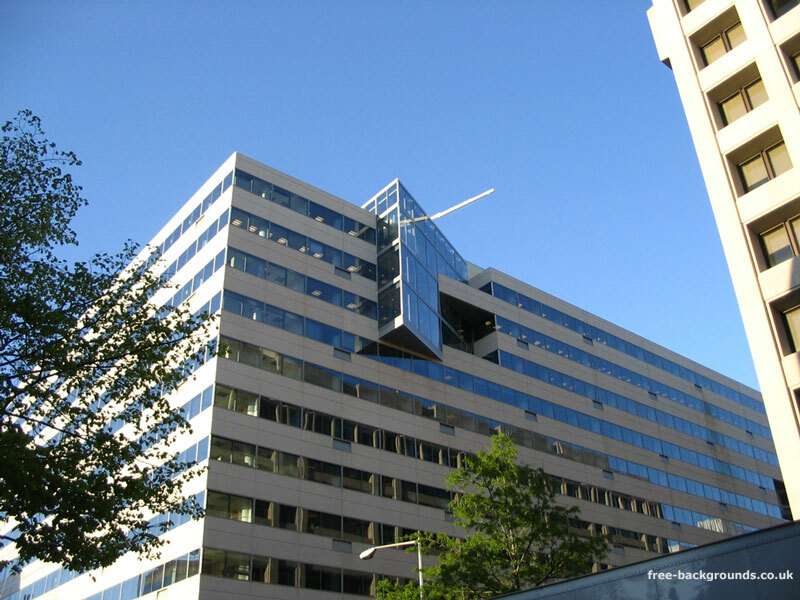 Office Block in Washington D.C. I have no idea what this building is, I saw it while walking through Washington D.C. and thought it was so unusual that I had to take a picture. Washington has a law that no building can be higher than the Capitol - so there are no skyscrapers here. The trees in this picture hint at the fact that Washington is quite a green city. Because it was such a clear day, the sky looks wonderful and the reflections off the building are so noticeable.